SAN FRANCISCO, June 18, 2015 /PRNewswire/ – Drawp, creators of the popular drawing and painting app, today launched the Drawp.it printing website for parents to select one-of-a-kind printed keepsakes created by the budding artists in their lives. With the new Drawp Shop online printing feature, users can easily order crisp, vivid prints, books, greeting cards, and more, shipped to their door. Kids’ original artwork—made on the Drawp app—is instantly viewable on the secure website by parent-approved contacts. Parents can browse and custom-order mementoes to share with family and friends. Personalized artwork makes sure loved ones never miss out on milestone moments in a child’s life. Drawp partners with White House Custom Colour, a leading US professional photo printing lab, to ensure top-tier keepsakes for family and friends. The site’s user-friendly layout makes it easy for parents to view their kids’ creative expressions in an online Private Gallery—simply by securely signing in. No subscription is needed. Original art is easily archived in the secure Drawp cloud; there’s no need to worry about collecting and storing, as it’s automatically saved. In addition to professional-quality photographic prints, Drawp Shop offers a wide assortment of creative options. 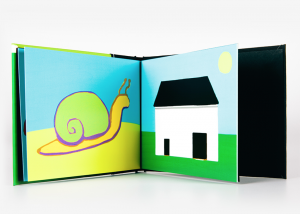 These include: bound books for archiving kids’ artwork; customized cards for thank you notes, gift cards, and festive holiday greetings; gallery wrap canvases for hanging that favorite work of art as home decor, and much more. The easy-to-use printing features bring kids’ imaginations out of the online gallery and into the home. With Drawp printing, parents are only one step away from creating physical mementoes of their child’s digital creativity. 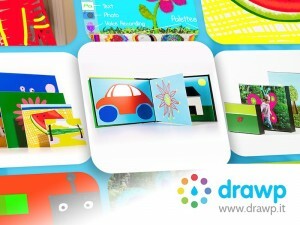 Drawp.it allows parents to easily order books of their child’s artwork. Drawp is a COPPA-compliant way for children to share artwork within a parent-approved network. The app is certified by TRUSTe and has earned the Know What’s Inside certification from Moms With Apps. It has also received the Gold Award from Mom’s Choice Awards and Editor’s Choice from Appysmarts. The new Drawp website adds new ways for families to share their children’s artwork and archive milestones. 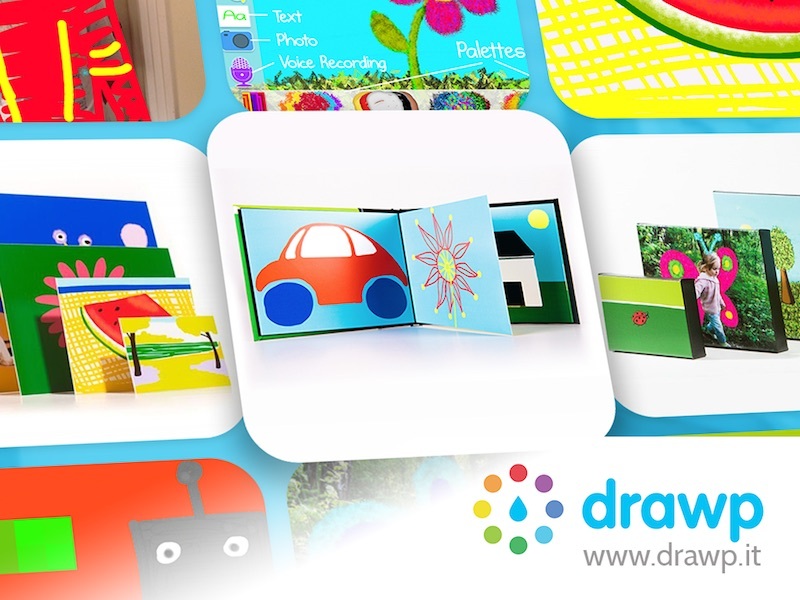 Drawp was founded to provide outstanding educational tablet apps for children. The company’s first release, Drawp Unlimited, connects children with loved ones through the simple acts of drawing and sharing. The second release, Drawp for School, is a creativity and workflow app that encourages collaboration among students. Drawp’s mission is to combine technology and art to nurture creativity, build self-esteem and provide a platform for seamless collaboration.